The Asians are financially now the king of the world. They have already advanced in so many fields it seems only money was their problem. But now that too is fixed. It will be only a matter of time before the Europeans start seeking Asian immigration, am just saying. The annual Merrill Lynch Wealth Management /Capgemini analysis of investors with $1m or more in assets found that as of late last year, there were 3m millionaires in both the Asia-Pacific and Europe. The survey quantified the wealth held in Asia at $9,700bn, compared with $9,500bn in Europe. The survey defines millionaires as people with net financial wealth of more than $1m, excluding their primary residence. The rise of Asian millionaires is being tracked by the industry that manages the fortunes of rich individuals, with banks moving senior staff to Singapore and Hong Kong to chase new clients. After taking a hit in 2008 during the financial crisis, the wealth of the world’s millionaires recovered last year with the upswing in stock markets, rising 19 per cent to $39,000bn. North Americans are still the best-off. At the end of last year, the continent was home to 3.1m millionaires worth $10,700bn. The US, Japan and Germany produce about half of all millionaires, who were numbered at 10m in 2009. China was ranked fourth, boasting 477,000 individuals with $1m or more in their accounts. 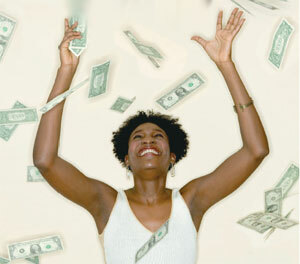 India is catching up, having seen the number of millionaires rise more than 50 per cent to 126,756 in 2009. Though the UK economy shrank, British millionaires swelled to 448,100, up 24 per cent from 2008. Russian millionaires also saw their ranks rise to 117,700. The Middle East struggled, with the United Arab Emirates losing 19 per cent of its millionaires in 2009 as the Dubai property crisis took its toll. Investments by the wealthy in fixed-income instruments crept up to 31 per cent from 29 per cent in 2008 and allocations to equities also increased slightly to 29 per cent from 25 per cent in the previous year. Cash holdings dropped, meanwhile, as investors grew dissatisfied with the poor rates on high street banks’ savings accounts. Demand for art, coins, antiques and wines picked up again toward the tail end of last year, as the wealthy sought out collectables with “tangible, long-term” value, the study said.